Latest News About St George's! 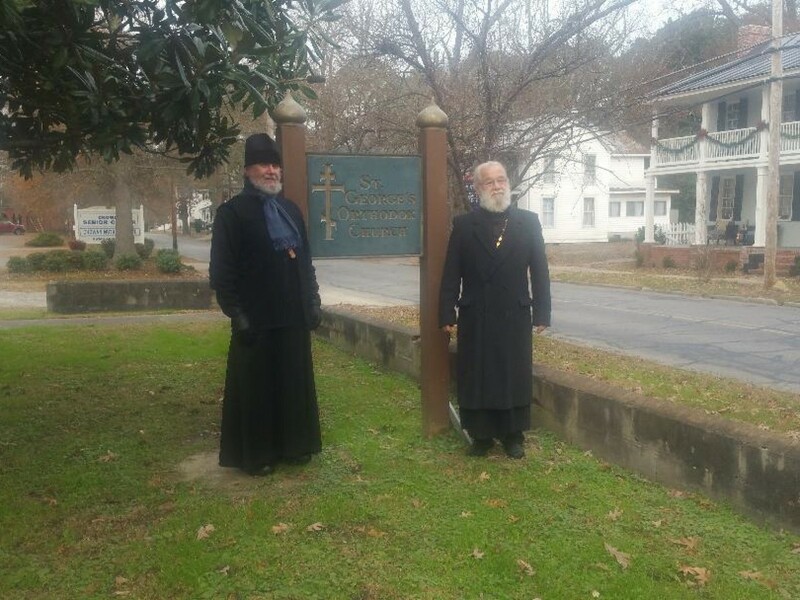 The Orthodox Christian Community of Edenton, North Carolina Welcomes You to St. George's Orthodox Church! Welcome! We love visitors! We warmly welcome you to join us for a service. In the meantime, explore our About Orthodoxy page for more information on Orthodox Christianity. 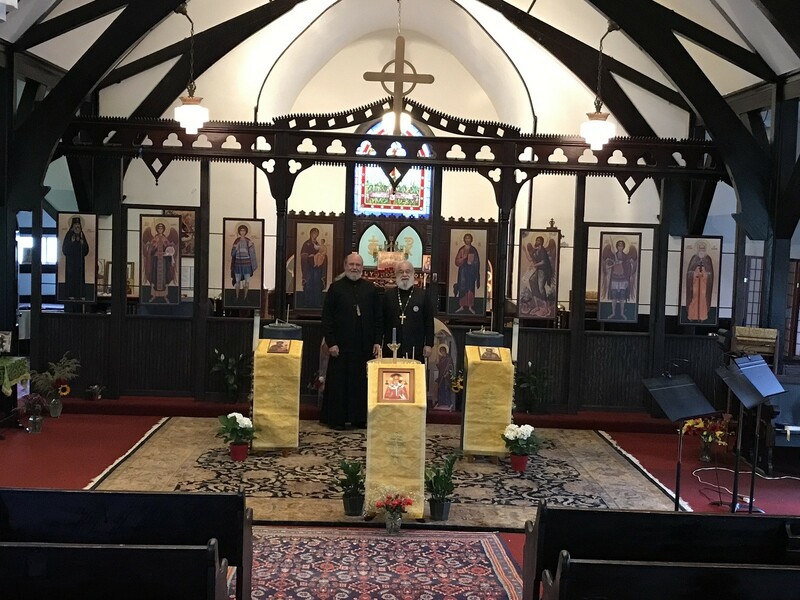 St. George's Orthodox Church is a member of the Orthodox Church of America operating under the Diocese of the South. Did you know that Orthodoxy predates all other forms of Christianity? Founded on the Day of Holy Pentecost, 50 days after the Holy Resurrection of our Lord Jesus Christ, Orthodox Christianity dates back to approximately 33 AD! The general structure and many particulars of the Divine Liturgy have remained unchanged since the time of the early Church. The description provided by St. Justin the Philosopher and Martyr in the middle of the second century is still a good summary of our Eucharistic Liturgy. St. Justin's Weekly Worship of the Christians is located in the Supplemental file of About Orthodoxy. Our Parish is located in historic Edenton in Eastern North Carolina on the Chowan River and Albemarle Sound. 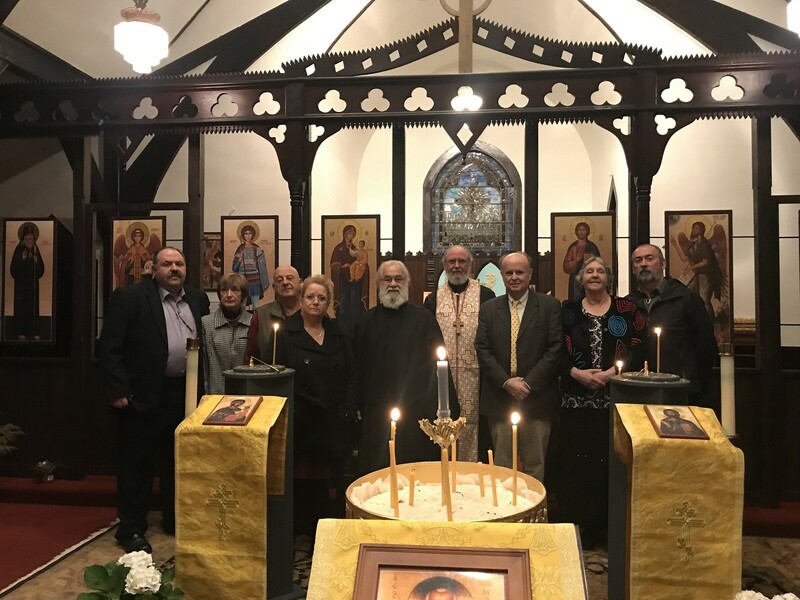 Whether you are a local resident or a visitor to the area, we invite you to come out and take part in our services, where you will experience how the Apostles and Saints worshipped nearly 2000 years ago. 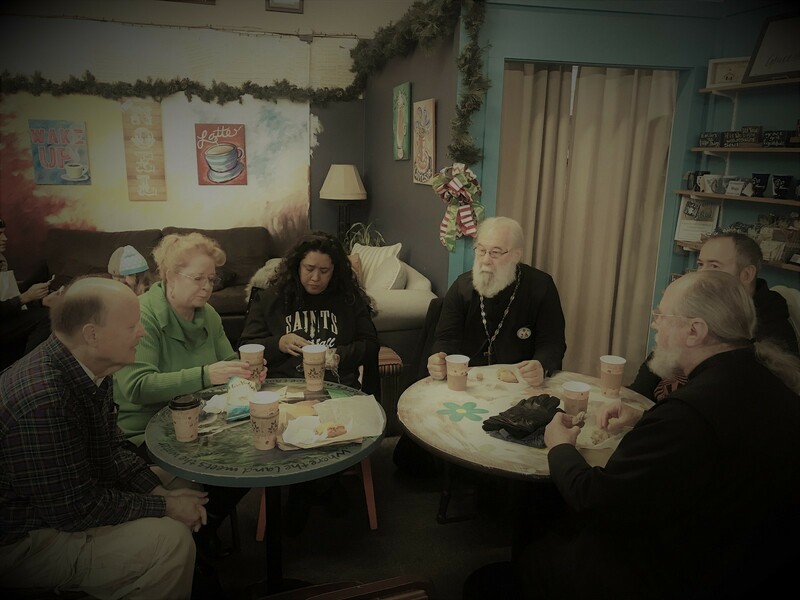 Our mission is to embrace the fullness of the Orthodox faith; encourage the dicipleship of believers, equip the faithful for ministry, and evangelize to those unfamiliar with the Good News. 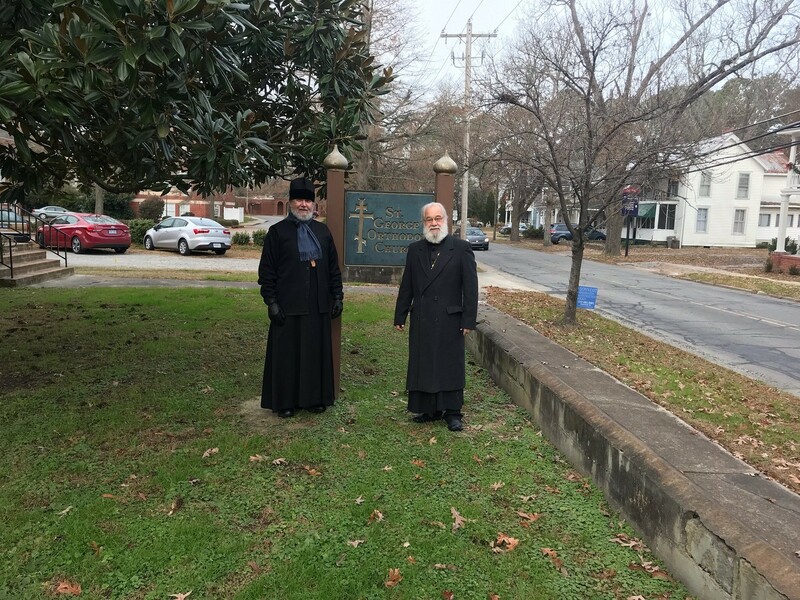 The Very Reverend Thomas Moore, Dean of the Carolina Deanery, visited St. George's Orthodox Church December 7-8, 2018. This was his first visit since St. George’s took possession of the former St. John the Evangelist Church as its new home. After a short Vesper service on Friday evening, which demonstrated the excellent acoustics inside the St. George nave, parishioners accompanied Fr. 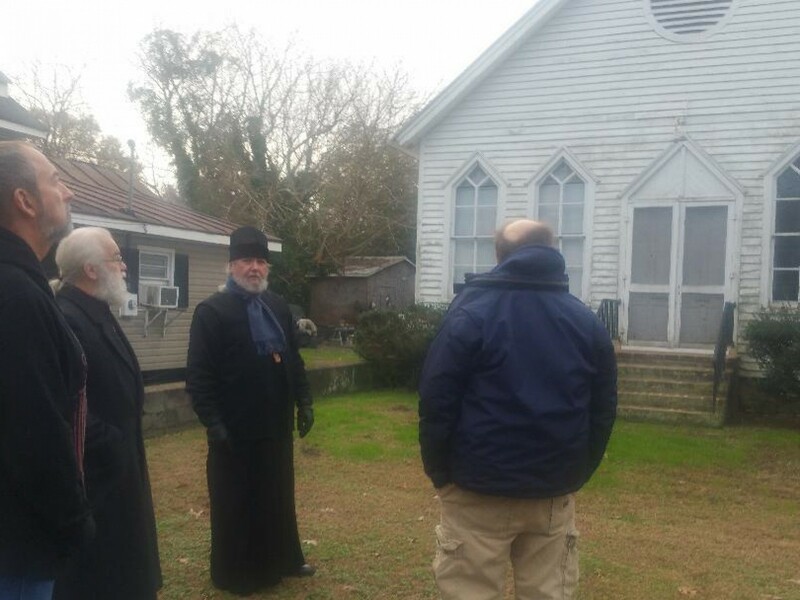 Moore and St. George’s resident priest, Rev. Dr. Benedict Churchill, to a dinner held at the Nothin Fancy Café in Edenton, North Carolina. The potential for the Carolina Deanery to hold its annual retreat in Edenton was discussed. Saturday morning, Fr. Moore visited St. George’s again, this time to get a better view of the Church in the daylight. 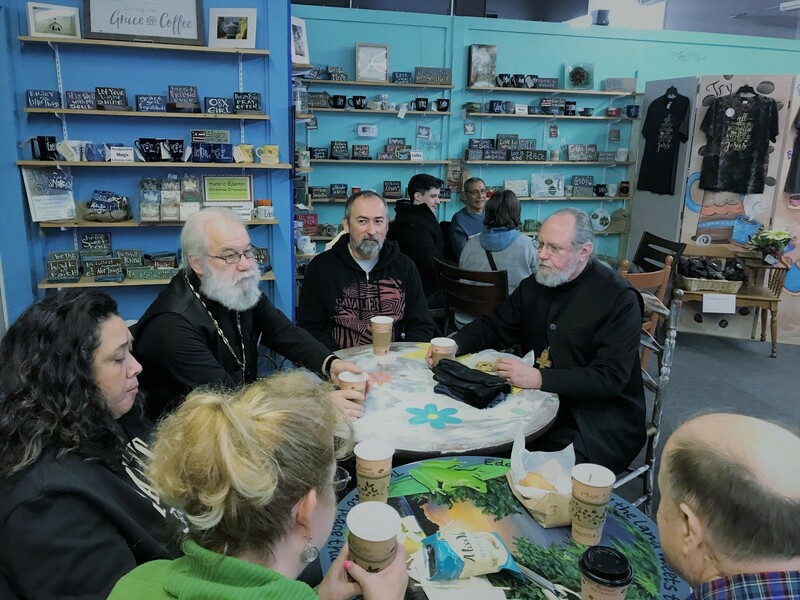 Fathers Moore and Benedict, along with several parishioners then met at the Edenton Coffee House for coffee and pastries before Fr. 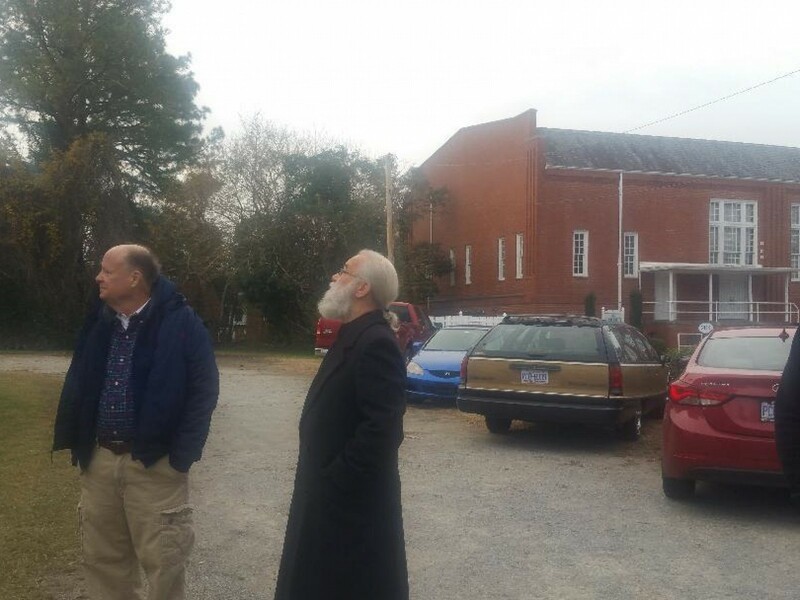 Moore left to continue his visits to other churches in his jurisdiction. 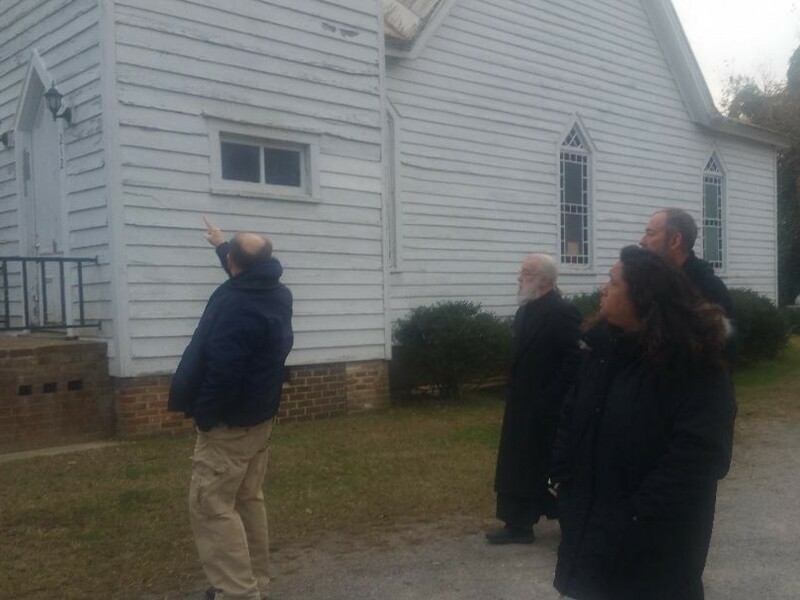 It was a pleasurable and memorable experience for all, and parishioners are waiting with eager anticipation to learn if the Carolina Deanery will hold its upcoming retreat in Edenton. 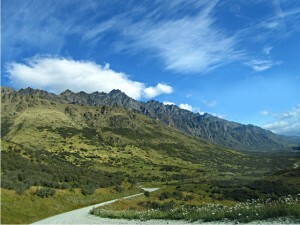 I believe in one God, the Father Almighty, Maker of Heaven and Earth and of all things visible and invisible. And in one Lord Jesus Christ, the Son of God, the only-begotten, begotten of the Father before all ages. Light of light; true God of true God; begotten, not made; of one essence with the Father, by Whom all things were made; Who for us men and for our salvation came down from Heaven, and was incarnate of the Holy Spirit and the Virgin Mary, and became man. And He was crucified for us under Pontius Pilate, and suffered, and was buried. And the third day He arose again, according to the Scriptures, and ascended into Heaven, and sits at the right hand of the Father; and He shall come again with glory to judge the living and the dead; Whose Kingdom shall have no end. And in the Holy Spirit, the Lord, the Giver of Life, Who proceeds from the Father; Who with the Father and the Son together is worshipped and glorified; Who spoke by the prophets. In one Holy, Catholic, and Apostolic Church. I acknowledge one baptism for the remission of sins. I look for the resurrection of the dead and the life of the world to come. Amen. How Does Orthodox Christianity Differ From Mainstream Protestant Christianity? To answer this question, we turn to the late Very Rev. Protopresbyter, Thomas Hopko, former professor of dogmatic theology and dean of St. Vladimir’s Orthodox Theological Seminary, where he also earned his M.Div (1963) before obtaining his Ph.D. in Theology (1982) from Fordham University. 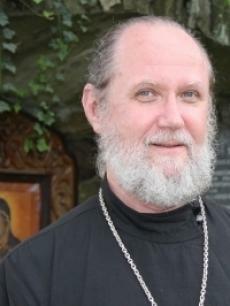 A dedicated servant of the Lord, Hopko was engaged in numerous activities and had many affiliations, having served as the President of the Orthodox Theological Society in America (1992-95) and as a member of the Faith and Order Commission of the World Council of Churches and as a delegate for the Orthodox Church in America. He was a popular author, producing works like The Orthodox Faith: Doctrine (1972), All the Fulness of God (1982), Women and the Priesthood (1999), Christ in the Old Testament (2002), and Speaking the Truth in Love (2004). A natural lecturer, he produced numerous YouTube videos and many popular podcasts on Ancient Faith Radio. Therefore, it is the pleasure of St. George’s Orthodox Christian Church to share with you the Very Rev. Protopresbyter, Thomas Hopko’s lecture on the differences between Orthodox and Protestant Christianity. What is the Orthodox Christian Church? The following series by author Frederica Mattewes-Green provides a robust description of Orthodoxy, offering viewers a glimpse into the lives and worship of Orthodox Christians in America and around the world. 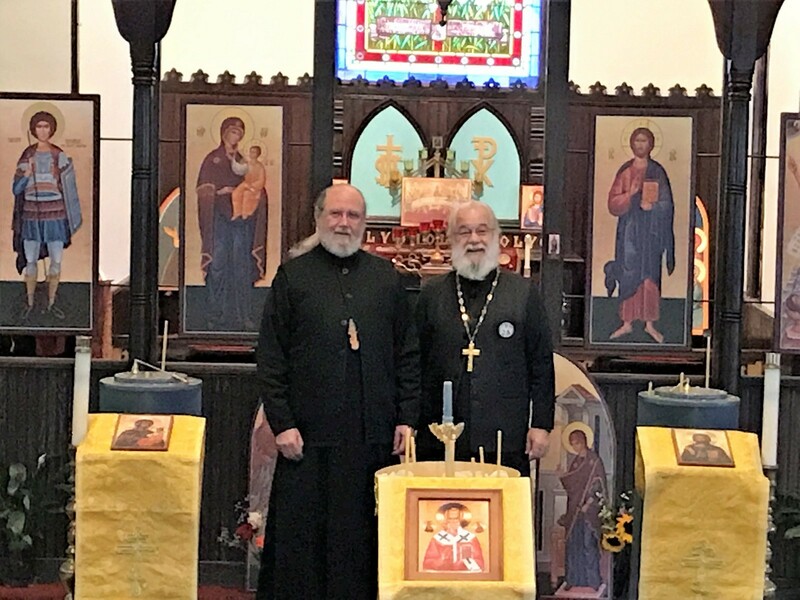 The Assembly of Canonical Orthodox Bishops of the United States of America affirms the sanctity of life based on the firm conviction that life begins at the moment of conception. The Assembly remains steadfast in its conviction that any interference in the development of life is a serious issue, and therefore it regularly participates in a variety of relevant events and also releases pertinent statements on the topic. In September, a new poll from NBC News and The Wall Street Journal reported that 7-in-10 Americans viewed race relations in the United States as “poor.” The poll revealed that 28% of the public, including 24% of white and 40% of black Americans, stated that race relations are “very bad,” with another 42 percent of all respondents calling them "fairly bad.” Heartbreaking news. 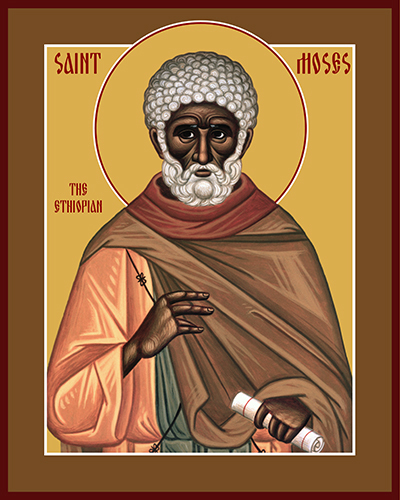 But at St. Vladimir’s a new student interest group is addressing the problem: the St. Moses the Black Society endeavors to foster meaningful conversation on race in the Orthodox Church today and to introduce the Orthodox Christian faith to black communities in America. The society, which began to take shape Spring Semester 2017, now officially takes its place alongside four other student-led interest groups, all under the umbrella of our Student Council. From time to time our Chief Priest suggests articles or videos that educate us on our faith and help us in our spiritual growth. These are listed below. If you have read an article or watched a video from this section, and it is no longer listed, please check under About Orthodoxy as more dated items will be moved there.